Tue, February 26, 2019 10:00 A.M. Pitching isn't just for entrepreneurs and venture capitalists! Nonprofits need to have their elevator pitch ready to go in order to effectively advocate for their organization and mission. This interactive workshop will include pitching best practices, dos and don'ts, team activities, and information on the Pitch Corner. This is a great opportunity for nonprofit professionals, board members, and volunteers to practice honing their elevator pitch to better communicate their organization's needs and make the (dreaded) ask. 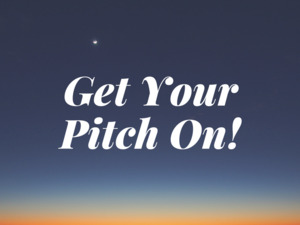 The Pitch Corner will be open from 11:00 a.m. to 12:00 p.m. in order for you to practice! Advance registration is required as space is limited. Please email the RFC to register: nonprofit@freelibrary.org. Tuesday, February 26 | 10:00 a.m. to 12:00 p.m.